Yesterday a new book by Susan Cain was released! It landed on my doorstep and I made the clumsy assumption that I could crack it open and read a few pages without wanting to stay up until 3 am reading the rest of it. The point, I wanted to read the whole book all at once. I wanted to ditch everything to do it. Because being able to tell a kid that they have a hidden superpower is something I want to do more often. Reading the words “we should be scheduling daydreaming into the extracurriculars” are words I want to wrestle with, how do we do this better in youth ministry–in all of the ways a teenagers is growing developmentally? I want to connect Susan’s ideas with the youth ministry context because one-third to one-half of the students in our youth ministries are introverted. And in my ministry experiences, three-quarters of our programs and ideas nurture the extroverted nature. Think worship, think loud, think games, think camps, think…think…think…what are the ways we are intentionally giving introverts access to things that light them up and energize them? 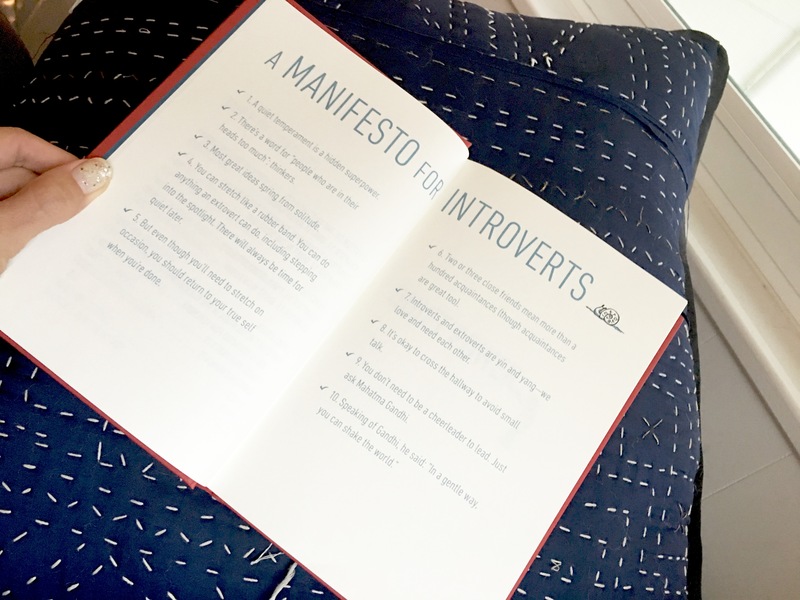 How can we love introverts best? How can we empower the quiet leaders? It’s not proven by science, but my adult life tells me that I have been accidentally mixed up as an “extrovert”. Growing up I was told that I light up a room, that people are energized by me. That’s a good thing! So, why after leaving a room did I feel depleted? What I wasn’t hearing anyone say was “when you light up a room you use all of the energy you have so you’ll need to cocoon away for a few moments or days to recharge again, you’ll need space for your thoughts and for your creativity and it’s WAYYYYY OKAYYY to feel like you need to disconnect for a little while.” I wish I didn’t feel like a total social nincompoop / dipwad / social loser wanting to leave a party at 8PM when everyone else was just getting started. These are things we know about now and can coach kids to understand now! I feel like helping kids know these things about themselves and helping them to harness their quietness as inner strength is an important part of our role in walking beside them socially, emotionally, and spiritually. I’m also writing about it because I’m guessing that there won’t be a giant pack of introverts showing up during your Wednesday night youth group to ask for extra time to process how to be true to their quiet self while also participating in the MEGA EXTREME GAGA BALL CHALLENGE OF THE CENTURY. I appreciate learning about the differences between introverts, extroverts, ambiverts (me) and the whole spectrum that exists between. I think it’s important for us to know the difference between introversion and shyness. It’s important for us to know that extroverts can be shy too. 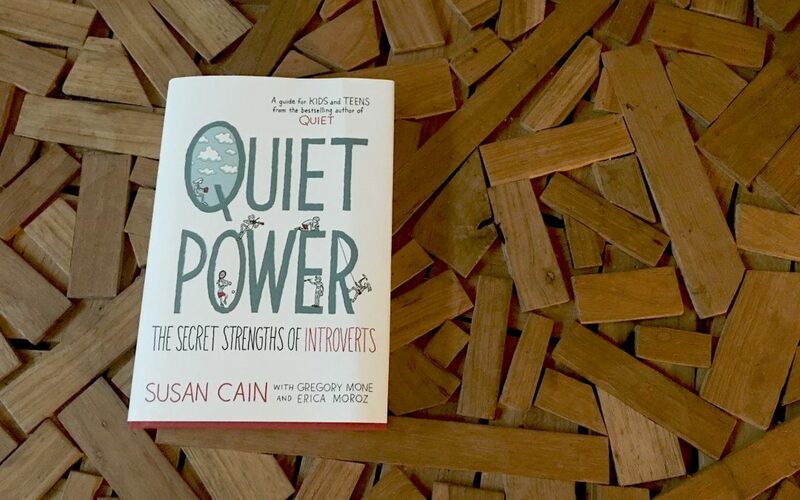 This focus can help us answer those questions about loving introverts best, about empowering their strengths in leadership. It’s important for us to begin. So, this is me beginning with you. Even though I didn’t finish the book. Even though I’m not sure when I will. I want to start and this is my best bet for accountability. Thoughts on how youth ministry can help an introvert at a party based on what I’m picking up from Susan. She rocks. Help kids/ teens find a wingman/ wingwoman. At Highland Park Youth we try to connect a new student with someone that’s been around longer, someone who can walk into the wild, packed out room by their side. I thought of this as a form of friendship, hospitality, but never made the connection that an introvert may need that support emotionally to walk into a bigger atmosphere. Even more reason to make sure we arrange for the quiet to have a “person” to meet with beforehand to calm any quiet anxiety. Help kids/ teens tell their “person” why they are important to them is a good too. Feeling significant in a friends life is a big deal—giving teenagers words to use helps! Help kids/ teens have an out. Help the quiet in your group pick a goal –whether it’s time playing a game, time spent at a party, time spent at an overnight event. Help them set a goal and try to reach it. Talk to their parents in advance and if the student is feeling overwhelmed they know there’s a way for them to exit honorably. There’s no shame in needing an out, we should be willing to help them find one! Help kids/ teens take a rejuvenating break. If the noise or crowd gets to be too much, is there a way that’s been communicated (maybe through small groups or through a simple announcement) that a person can find another quiet area to recharge? Is there space for a student to recover? Is there a leader who may want to take this on as their ministry and would be willing to sit with a quiet one who needs a bit of a break before continuing? Help kids/ teens invite others to do things that they would like to do. A quiet introvert may feel as if they get dragged into things they may not love to participate in by the whims of others. Help them to make suggestions of things they would like to do or give them space to plan their own kind of “hang out”. Help kids/ teens stay curious and compassionate. When meeting someone new, an introverted teen can feel awkward when they sense small talk setting in(an introverted adult can feel that way too!). Give them a challenge to find out what makes that person interesting. Help them to find out what makes the person in front of them human? Help them wonder about the inner pain that could be experienced by others—remembering that every person experiences pain, no matter how outgoing or smooth, helps a student stay compassionate and engaged when they might be tempted to pull away. Let’s keep connecting the dots and learning into this. Thank you Susan for giving us some tools to give grace to the quiet introverts in our youth ministry! P.S. If you love reading books as a sport–and love digesting them thoroughly…there’s a quiet reading revolution happening at little clubby club called THE RDC. Check it out, it’s fo’ free. We haven’t updated the site this month but we do have May book selections on our Facebook page. Check it!